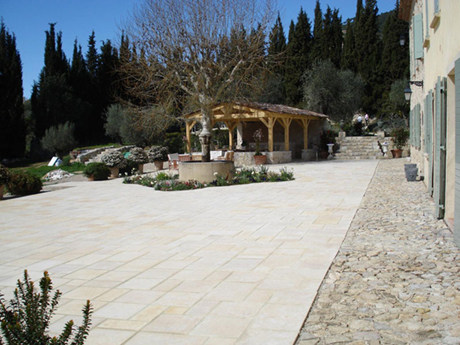 Review: Grasse – Bastide Saint Mathieu – A Real Gem! I’ve preluded to this review a long time ago in French Riviera and The Art of Booking Online: Nothing Zen! Part 3. I didn’t publish this review earlier, because I had terrible problems organizing my photos last year. That problem I only solved recently. 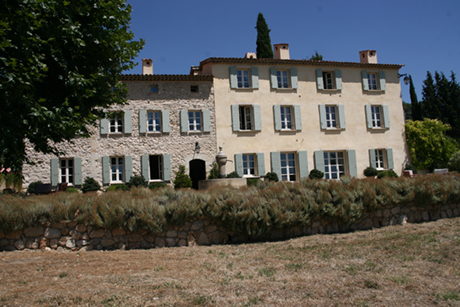 A French Bastide recently restored with meticulous care, surrounded by 2 hectares of its own gardens and parkland. 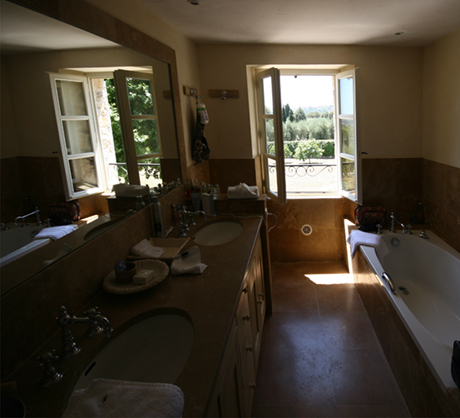 It Sleeps 14/17 in beautiful large bedrooms, with marble ensuite bathrooms. Fine terracing and gas flare lit cuisine d’ete for outside parties and entertaining. Huge swimming pool, boules piste. 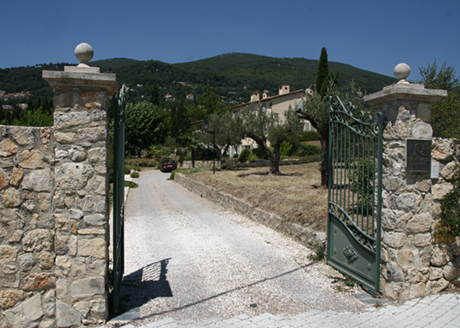 Great views; splendour and privacy in the triangle between Mougins, Grasse and Valbonne; 15 minutes Cannes, 25 minutes Nice. 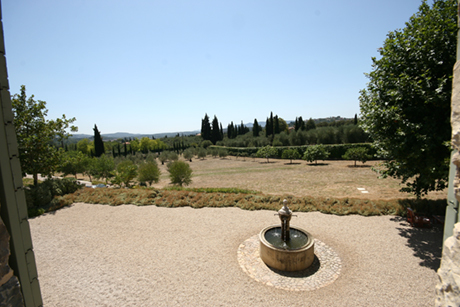 It is a villa with 2 suites and 4 rooms, 1 of which is a single room. 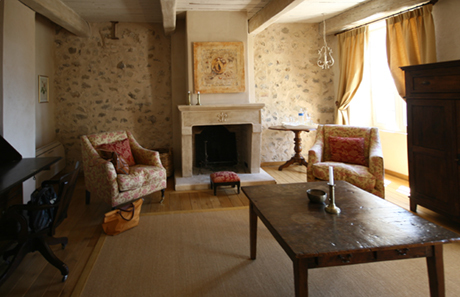 Bastide Saint Mathieu offers a truly unique ambiance of luxury, charm and tranquility. 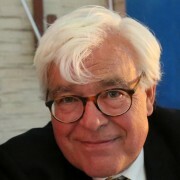 The former Dutch owners had sold to the present British owners who would start operating it August 2007. That was another reason for publishing this not immediately. It is my view that a lot of the fun of a staying in a hotel is made out by the way the owners/staff receive you. I am glad I could find two recent positive reviews in the meantime. We stayed two nights in the James Gordon Bennet Suite, which has a separate sitting room and bedroom and we were pampered well by the former owner Inge. Since our stay they have added a pergola to the swimming pool and made a covered area on the terrace for Al Fresco breakfasts, lunches and dinners. They have a marvelous photo gallery on their site. I wouldn’t mind going back. Post Alia: Still Nothing Zen! 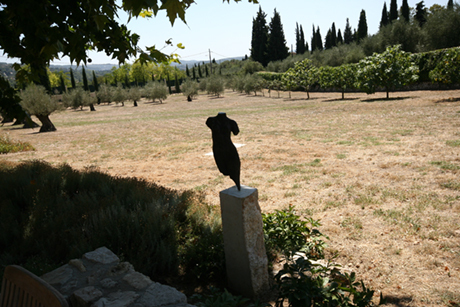 While doing online research for this post, I found out that sites like Tripadvisor really are putting the smaller hotels like Bastide Saint Mathieu to a disadvantage vis a vis the big chains: Usually not many guests do write in a hotel’s guest book, I would estimate one out of 4 guests. If they write in the hotel’s guest book, they are not likely to write an online review. So my estimate is that less than one out of twenty guests writes an online review. Then the big question is where the review is written online, as there are many possibilities…. It used to be a member of Chateaux et Hotels. I’m not sure it is now. Ah, darn, they still are! I wasn’t sure, because Chateaux et Hotels deemed it feasible to change their site. If you now are searching a hotel on their site you only can search for available hotel rooms. If the hotel is fully booked, you can’t find the hotel on the very site of their own marketing organization. This is Mighty Stupid! Chateaux et Hotels took away their maps……Why make it easy (as they did in an earlier version of their site) when you can make it difficult?